Deb has extensive senior HR experience in both domestic and international arenas with key companies such as Motorola, Bristol Myers Squibb, and Eaton. 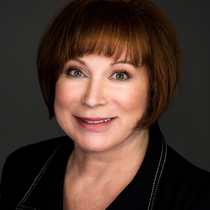 Having held several VP positions during her career, Deb served as Eaton’s VP of Talent Management & Organizational Effectiveness prior to joining ConnectedHR’s team. With a passion for developing great leadership and great cultures, she brings a unique blend of HR related skills in leadership, employee development, coaching, succession and human capital planning, merger integration, talent acquisition as well as generalist experience. Deb holds a PhD, Industrial/Organizational Psychology from The University of Tennessee and a BA, Psychology from Marian College/University, Indianapolis. She has certifications in “Managing Organizational Change” (ODR Consulting, Atlanta), “Organizational Design and Change Acceleration” (Motorola Certified) along with various other assessment related certifications. Her career has allowed Deb to live in various cities in the US in addition to internationally in Asia and Pakistan. Deb proudly calls Northeast Ohio her home where she enjoys staying active with her community involvement as a board member of University Hospital Ahuja Medical Center among others.